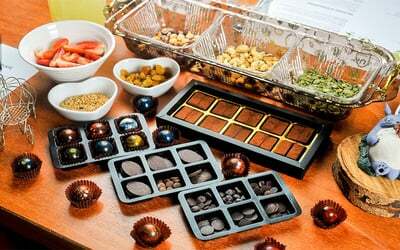 Have a higher appreciation for chocolates by partaking in this Chocolate Connoisseur workshop at Love 18 Chocolates. Learn the art of identifying the different types of chocolates from around the world by tasting a variety of 20 different chocolates from Ecuador, Venezuela, Madagascar, Grenada, and more. In addition, you are also entitled to bring home either a box of First Love Chocolates or Beautiful Life BonBon Chocolates. Valid Tue - Sun: 1pm - 9pm (including public holidays).